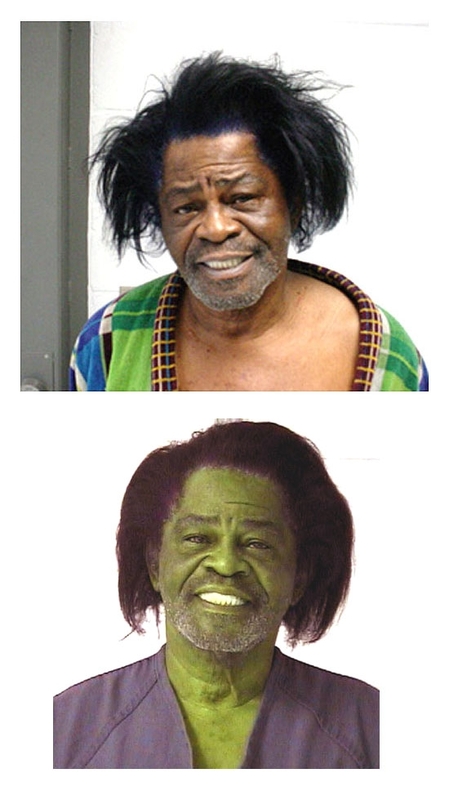 'Godfather of Soul' James Brown, 70, was arrested by Aiken County cops in January 2004 and charged with domestic violence after allegedly pushing his wife to the floor during an argument at the couple's South Carolina home. Tommie Rea Brown, 33, suffered 'scratches and bruises to her right arm and hip' during the bedroom dispute, according to investigators. Submitted by SpecialEd on Thu, 2011-06-02 23:31. Still smiling. Just cant take the performer out of him! Submitted by Watsons Pills on Mon, 2011-04-04 22:59. Submitted by antiz on Mon, 2011-02-07 19:38. Don't make Hulk brown angry.